Manila, Philippines - Police investigation revealed the tragic death of 19-year-old nursing students Ashley Avila Abad at the Sinulog Party in Cebu. Chief Supt. Debold Sinas, director of Police Regional Office-Central Visayas, said Abad died of an ecstasy overdose based on the autopsy report from the Philippine Drug Enforcement Agency. Police are planning to file a case against Abad's boyfriend Nel Spencer Tiu, who has yet to respond to their invitation for questioning, ABS-CBN reported. Now, the police investigation fucoses to the boyfriend as primary suspect. "we will ask the subpoena power of the chief PNP para i-summon siya. If dili siya mu (he doesn't) show up, after the subpoena, damputon namo siya (we will apprehend him), he said. 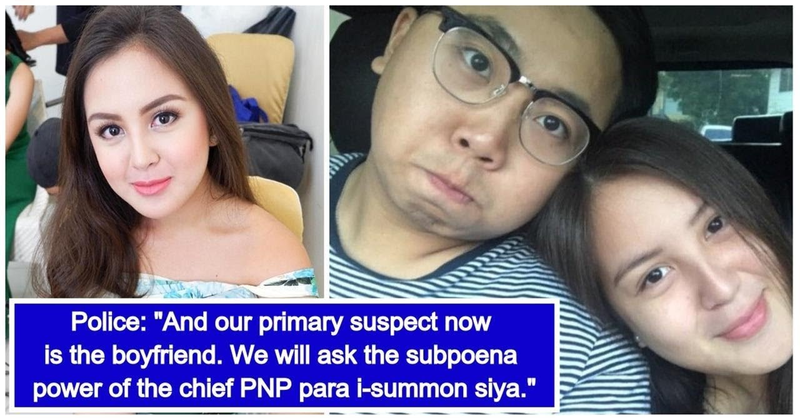 The PRO-Central Visayas has also asked PNP Chief Albayalde to formally issue a subpoena against Ashley's boyfriend for further investigation. The 19-year-old nursing student Abad attended the Sinulog party on January 19, but she collapsed at the VIP deck area of the concert venue and later died the next day. Last Thursday, Abad's parents meet President Duterte.